As a teenager I was more interested in football, the high school I attended seemed to have a core team of sports guys and girls that would always be picked as they had an all-round sports ability. However, my teacher noticed potential in sturdy legs and strength thus he recruited me to try out for the school rugby team. It is obviously a rough sport and we had several lads who were much bigger and more developed physically than the majority of us in the team, so matches were always one sided, and predictable outcomes when we played in two teams against each other. However, this meant that when we played teams from other schools we demolished the opposition. Something must have been in the water in the local town when we were all growing up. Since this time I have enjoyed following rugby but mainly England rather than local teams of Gloucester and Worcester. We do have a local team where I live now too, Bromsgrove which has a very rich and long heritage with a fab ground. Myself and pals have visited various England and Twickenham Rugby events over the years, but I no longer play, I stick to running which is much safer. The sport of Rugby can offer a brilliant way to keep physically fit, and whilst yes it is a rough sport, it can also be beautiful to watch, particularly international games against teams such as Australia, Wales, Scotland, France and the formidable All Blacks. I think what sums up this beautiful game, is Jonny Wilkinson‘s match winning performance vs New Zealand 2002 which I have linked to below. It was the most riveting game. England fly half Jonny Wilkinson put in a match winning man of the match performance against New Zealand during his nation’s win over the All Blacks at Twickenham in November 2002. It gave a great boost to British rugby and inspired a nation of little rugger stars. Wilkinson was with the Newcastle Falcons from 1997–2009 and had a senior career making 141 appearances for the club and scoring 2,049 points. 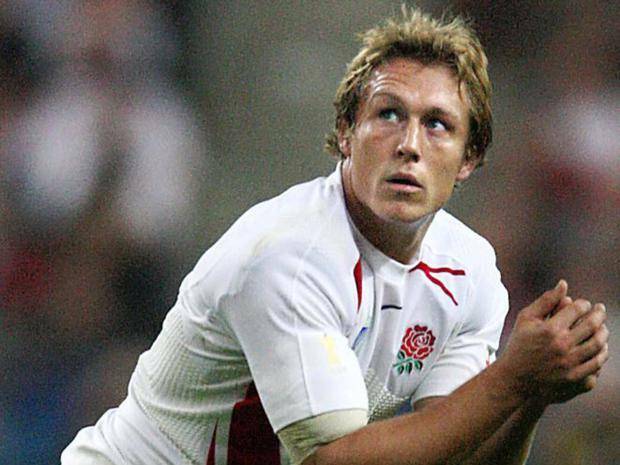 Johnny then played for Toulon and from 1998–2011 he played for England 91 times scoring 1,179 points – a true hero and an inspiration to all budding wannabe rugby stars! Sport is one of the most popular forms of entertainment. Major competitions such as the NBA, EPL, and the Champions League attract hundreds of millions of viewers. Avid sports fans around the world anxiously watch their favourite teams play week in and week out, buy their merchandise, and spend hours debating with other fans over which team is the best. There are a few methods which can help you take your love of sport to the next level and increase the enjoyment factor even more. The most obvious reason why people like to be on sports is the potential of a financial reward. Sportsbooks online and sports website by Mr Green offer very enticing promotions and competitive odds, and people bet large amounts of money in the hope that they will earn back even more. However, winning money is not the only benefit that sports betting has to offer. It’s also a great way to increase the overall entertainment factor of sports, and it can be a lot of fun too. Watching a game when you have a vested financial interest, as well as an emotional one, can make winning that much sweeter. Despite the common misconception, sports betting is actually a relatively cheap form of entertainment. As long as you set reasonable betting limits, even if you do lose money from time to time you won’t actually lose all that much. People spend far more on fancy restaurants, going to the cinema, and video gaming. Sports betting can also be challenging. Sports fans pride themselves on having a deep understanding of the sport and their ability to predict the outcome of games, and punters use sports betting to test their knowledge of the sports and to determine the accuracy of their predictions. As well as winning money, accurately predicting an upset and “beating the bookies” can provide an immense feeling of satisfaction. 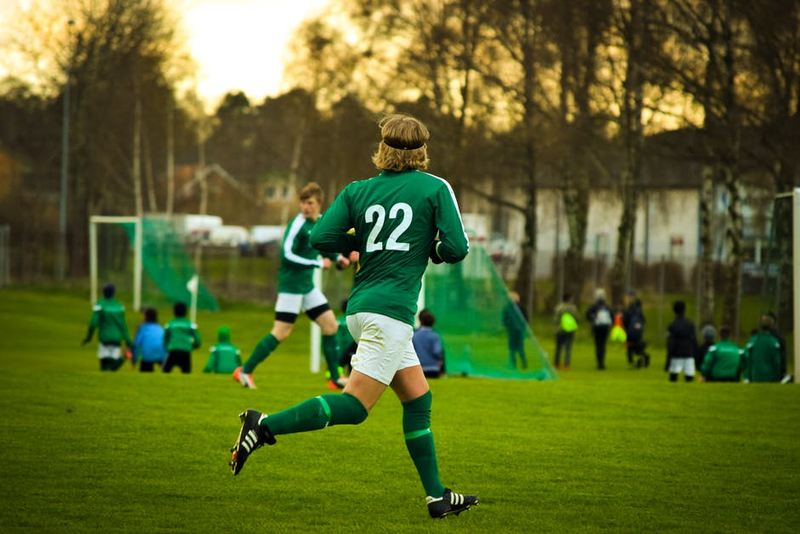 Playing sports has long been one of the most popular pastimes around the world. Not only is it great exercise it also helps boost self-esteem, develop teamwork and leadership skills, and it’s a natural stress reliever. If you play sports as well as watch it you’ll develop a much better understanding of the game, and your love for the sport will grow. You can even start your own football team and play in an FA recognised amatuer league. Local councils and authorities are becoming increasingly invested in grassroots football and now is one of the best times to get started. The rise of social media has allowed for amateur football teams like Hashtag FC, and Sidemen FC to gain nationwide recognition by streaming their games on YouTube. Finally, if you haven’t already, you should definitely pick a favorite team and support them unconditionally. This is a surefire way to increase your love of sport and competitions. UK sports fans don’t always pay much attention to American sport competitions, like the MLB, NBA, or the NHL, but if you want to get more involved with these sports then the best way is to choose a favourite team and become a loyal fan. The government, schools and sports clubs in the local community are all doing their part to tackle the child obesity problems we are facing at the moment. In the UK, we all need to be getting the right amount of exercise to stay healthy. While the focus is on children, adults too need to be active. It’s the responsibility of everyone to tackle obesity and health problems. This means we all need to be spending time on our feet, away from screens and out and about. From sports tours to walking clubs, there are many ways you can start getting active in your community and helping others to do so as well. You don’t need to become a marathon runner overnight. Even starting small, you’ll be able to see the positive difference a bit of exercise can make . Why not walk to the bank on Saturday morning, rather than take the car? Or join the children on their trampoline after school? Simply starting to get active and doing something can spur you on to do more. Public Health for England has developed the Active 10 app to get people walking for at least 10 minutes a day. This makes it simple and easy to start. If you look hard enough, you’re bound to find loads of local teams in your community; from groups for children, all the way up to elderly aquafit classes. You might find a sporting group which you’ve never heard of before but are keen to try. If you have the chance to join a local team or club, do it. Not only are you keeping active, but it also gives you the chance to meet a whole new group of people. Joining a club means you have the opportunity to take part in rugby festivals and sports tours across the UK and beyond. Local tournaments are a great way to get active and involved. There are some amazing tournaments and partnerships happening up and down the country, so keep an eye out to see what’s happening near you. For example, Ospreys in the Community was launched in 2015. miTour have become their official event partner and there will be a large mini and junior rugby festival in April 2018 called the Ospreys Challenge. They will also run run other events in the local community. If you’re a keen traveller, did you know that joining a local sports team could open up adventures for travelling? Sports tours organised by a travel company is a great way to see the world and play sport as well. There are some amazing opportunities for children to travel, explore and stay active with sports tours. It’s another way to get to know the community and communities far from home while staying healthy. So much adventure is waiting! Can’t find a team or club you want to join? Why not start your own get-together of people? Whether you want to make a five-a-side football team or simply get a small group together to go walking once a week, you can be the change and the cog that gets it moving. If you see a gap in your community, there is nothing to stop you from starting the process. Why wait? Start small tomorrow and by 2018, you could be healthier and happier with your lifestyle. John O’Leary is a director of miTour — a first-class sports tour and travel company. They’ve partnered up with Ospreys in the Community to bring sports to everybody and create unique events to get communities active. England leaving a significant mark at the ISF World Schools Championship Athletics 2017! 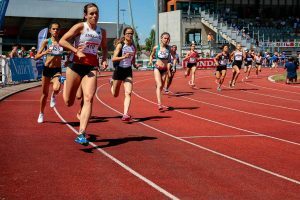 From 24th June to 30th June 2017, Nancy, a French city of Lorraine region, hosted one of the biggest sports events for young athletes – World Schools Championship Athletics 2017 organised by International School Sport Federation (ISF) and French School Sport Federation (UNSS). England made a significant mark on this event. School team boys from The Judd School Tonbridgegained 7th place in Classification by team with the total of 730 points. Represented by High School for girls Southend, School team girls ended also on 7th place in Classification by team with 674 points. The ISF WSC Athletics 2017 gathered over 500 young athletes from 24 countries (Australia, Austria, Belgium, Brazil, Bulgaria, Chile, China, Chinese Taipei, Croatia, Czech Republic, Estonia, France, Germany, India, Iran, Israel, Italy, Latvia, Portugal, Slovakia, Spain, Switzerland, Turkey, United Kingdom). The event represents a unique chance for young people to come together not only for sport purposes but also to get to know different cultures from all around Europe. Renaud Lavillenie, world record holder in pole vault, Olympic gold medailist from 2012 London and silver medallist from 2016 Rio, became the ambassador of the event and spent two days with all the athletes – motivating them and training with the French team of young athletes. 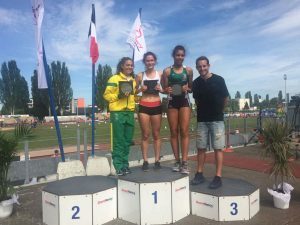 – motivating them and training with the French team of young athletes. Renaud Lavillenie, pole vault world record holder inspires young athletes at the ISF WSC Athletics 2017! Nancy, France: Renaud Lavillenie, french pole vaulter currently holidng a world record with a height of 6.16 m set indoors in 2014 (overcoming Sergey Bubka from Ukraine with 6.14 m) became the ambassador of World Schools Championship Athletics 2017 organised by International School Sport Federation (ISF) and French School Sport Federation (UNSS). On Monday, he visited the young athletes participating in this major school event in Nancy, France. Lavillenie, a gold medalist from 2012 Olympics in London and silver medalist from 2016 Olympics held in Rio spent two days with the youngsters, motivating them to deliver the best results possible. He also supported the winners on podium and had a training session with the young athletes of France before Meeting Stanislas, major athletic event held today, the 28th of June in Nancy. The ISF WSC Athletics 2017 gathers over 500 young athletes from 24 countries (Australia, Austria, Belgium, Brazil, Bulgaria, Chile, China, Chinese Taipei, Croatia, Czech Republic, Estonia, France, Germany, India, Iran, Israel, Italy, Latvia, Portugal, Slovakia, Spain, Switzerland, Turkey, United Kingdom). The event represents a unique chance for young people to come together not only for sport purposes but also to get to know different cultures from all around Europe. Watch Geordie Shore star Aaron Chalmers and the fighters for BAMMA 29 weigh in and face off at Shooters Bar in Birmingham, this Thursday 11 May at 2pm. 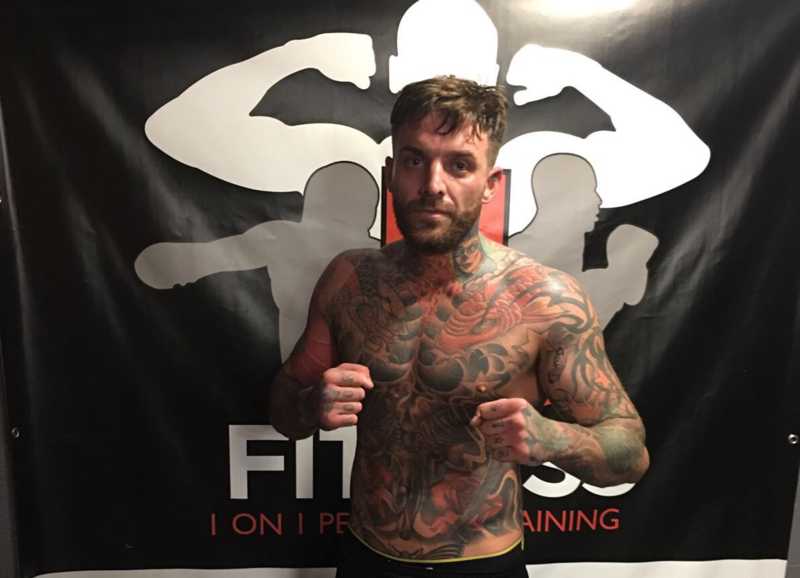 From MTV’s Geordie Shore house to the cage, Aaron Chalmers transitional road into MMA (mixed martial arts) is now paved under the guidance of Europe’s biggest MMA promotion BAMMA, as his debut fight takes place on May 12th at the Genting Arena in Birmingham. Training in the UTC gym in Birmingham, Chalmers has displayed promise in preparations having also travelled to the spiritual home of Muay Thai, Thailand, to sharpen his skill set ahead for his professional MMA debut. Competing in the highly competitive BAMMA Lightweight division, the Geordie Shore star will look to carve out a new legacy in mixed martial arts. BAMMA 29 will be broadcast as Live MMA World Title Fight on UKTV’s leading entertainment channel Dave as two world title fights top-off an action-packed card headlined by Heavyweights – UK’s Brett ‘The Spartan’ McDermott Vs Germany’s Ruben ‘The Viking’ Wolf. Dave’s live coverage of the evening’s events run from 9pm to 11pm. Birmingham locals featured on the card include Yannick Bahati, Fabian Edwards, Nathias Frederick and Jai Herbert (Wolverhampton). 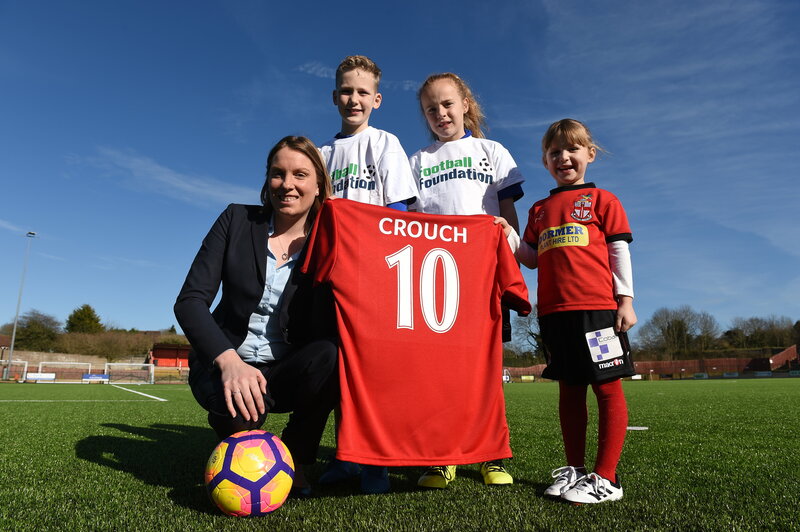 The official opening of Redditch United FC’s new all-weather pitch and changing room pavilion by Minister for Sport, Tracey Crouch MP and Karen Lumley, MP for Redditch. Tracey Crouch MP, Parliamentary Under-Secretary for the Department of Culture, Media and Sport and Karen Lumley, MP for Redditch, officially unveiled Redditch United FC’s new grassroots football hub at the Trico Stadium today (Thursday 9 March 2017). The state-of- the-art floodlit all-weather pitch and revamped changing rooms are projected to create 17 new local teams and will also enable Redditch United to bring all of their 38 teams ‘home’ to one venue. The project was made partly possible thanks to a £561,650 grant from the Premier League & The FA Facilities Fund (PL/FA:FF), which is delivered by the Football Foundation. The Premier League, through the Football Stadia Improvement Fund (FSIF) – the Football Foundation’s sister organisation – also invested £88,166 into the project. In addition to the Redditch teams, which include the Southern League Premier Division club’s Academy run in conjunction with Bournville College, the all-weather pitch is also home to Birmingham City Ladies FC, who will run their Regional Talent Club from the West Midlands site. Additionally the Albion Foundation, the charitable arm of local Premier League side West Bromwich Albion FC, will use the pitch to deliver programmes for their Player Development Centre, which works with youngsters aged 6-11. The Albion Foundation will also hold coaching camps during school holidays at the Redditch facility, aimed at participants of all abilities ranging from 4-14-years-old. During the project’s planning, Redditch United FC worked alongside the Birmingham FA and Football Foundation to compile a five-year Football Development Plan (FDP). This is a long-term vision for how sport will be played on-site, with forecasts predicting that eight new girls’ teams and a small-sided adults’ football league will be formed thanks to the new facilities. The FSIF has awarded Redditch United FC grants totalling £265,936 over the past 15 years to help fund a number of infrastructure developments at the Trico Stadium. These include improvements to their pitch drainage, perimeter fencing and terraced stands. The PL/FA:FF provides grants towards developing new or refurbished grassroots football facilities. It is funded by the Premier League, The FA, and the Government, via Sport England. It is delivered by the Football Foundation, the country’s largest sports charity. Since it was launched in 2000, the Foundation has awarded around 15,000 grants worth nearly £580m towards improving grassroots sport, which it has used to attract additional partnership funding of £800m – over £1.4bn of investment into the grassroots game. Since 2000, the Football Foundation Funding Partners’ investment has provided 427 grants worth £26m towards grassroots sports projects worth over £61m across the whole of Birmingham. This local investment has covered 28 all-weather pitches, 42 room changing pavilions and 79 natural grass pitch improvements. Tracey Crouch MP, Minister for Sport, said: “Good facilities, like this one in Redditch, help encourage people to play sport and gain from the physical, social and mental benefits participation brings. This facility shows what can be achieved when the Government, Premier League and The FA work together in partnership. Karen Lumley, MP for Redditch, said: “This all-weather pitch will prove a tremendous asset to the local community, and it’s great to see youngsters already making the most of the new facilities. It’s vital people right across the country are given the opportunity to play sport and stay healthy in safe and accessible environments, and this new football hub will provide exactly that. Redditch United Chairman Chris Swan said: “We are exceedingly grateful to the Premier League & The FA Facilities Fund for their substantial contribution to our project and the help they have given us along the way. This investment in grassroots football helps us to reach out to the Redditch community – not only through our many junior and disabled sides that see nearly 1,000 youngsters turning out for the club each week, but also through our popular soccer coaching camps during the holidays. Richard Holmes, Worcestershire Development Officer for The Albion Foundation, said: “It’s great to see the Premier League & The FA Facilities Fund being used to provide such a high quality facility that will no doubt benefit sport in the area, not only for the club and first team at Redditch United FC, but also for community groups and clubs in the local area. Paul Thorogood, Chief Executive of the Football Foundation, said: “I am delighted that a grant from the Premier League & The FA Facilities Fund has enabled Redditch United FC to build a fantastic new grassroots football hub. This development will provide a real boost to sport in the local area and I would like to thank the Sports Minister Tracey Crouch MP and Karen Lumley MP for officially unveiling the new facility. Local charity Baby Ava’s Support Foundation have announced Birmingham’s super-flyweight champion as its new ambassador. Birmingham-born Kal Yafai is the current super-flyweight champion after winning the title in December 2016, and has pledged his support to Baby Ava’s Support Foundation by becoming the charities newest ambassador. Baby Ava’s Support Foundation was founded after Richard lost his daughter, Ava, in May 2014. The charity aims to provide keepsake memory boxes to every bereaved family in the UK. Kal Yafai said “I wasn’t familiar with the work of Baby Ava’s Foundation until Richard got in contact with me. Once I found out a little bit more about what the charity does, and how it helps parents cope with the grief of losing a child, I was delighted to become an Ambassador for the charity to help such a beautiful cause. Baby Ava’s Support Foundation founder, Richard, said “We are delighted to welcome Kal Yafai to the support network on Baby Ava’s Foundation. It’s important we continue to raise funds for the cause and we believe Kal will provide a great support for us as an Ambassador, as has done lots of great work for us in the past. Kal has really fell in love with the cause and has been great support watching us grow and develop. It is a pleasure to have him as an Ambassador for Baby Ava’s Foundation and we’re excited for our partnership in the future”. Baby Ava’s Support Foundation has recently launched their Donate a Box campaign to support beavered families that have lost a baby through neonatal death or stillbirth. To donate, text AVAS01 and the amount to 70070, or visit Baby Ava’s Support Foundation’s Just Giving page, Richard-Atkinson10. An all new adventure for Kitvision – Have you got what it takes to become a Kitvision Ambassador? Kitvision is more than just an action camera brand. Kitvision ‘was formed from a love of coast and countryside, a passion for life, and real adventures’, and the Kitvision Team are on a search for Ambassadors who represent a multitude of sports, backgrounds, and lifestyles to become a part of the Kitvision journey, to support and be supported by the brand, with a collective goal to inspire people to find their own adventure – whatever that may be. Now Kitvision invites everyone, from action pros to first time adventurers to connect with the Kitvision Community and share stories of first attempts, epic journeys, or biggest jumps, to discover their Journal that’s jam-packed with expert guides, guest blogs, top tips, and amazing tales, and last but not least to follow, or join the new Ambassadors program – real people living their passions whilst proudly carrying the Kitvision flag. This exciting opportunity offers Kitvision a chance to support, be a part of, and follow the incredible journeys of people living real life adventures, and help them to promote the sports they love; the very people that provide a purpose and need for products such as action cameras, mounts and accessories, who will motivate others to get out and find their own adventures. With the help and expert advice of the Ambassadors, who will put the Kitvision products through their paces, the brand will be able to constantly enhance and refine their products, and develop even more products to support an even bigger range of the sports people love, because anyone and everyone should be given a chance to capture the moments that matter. January 2017 has already welcomed Mountain Bike pro Rob Webb (@RoboWebb) to sign for his second year, even bringing his shiny new bike into the Kitvision HQ for an enthusiastic meeting about the year ahead. With events lined up for 2017 and beyond, he will continue to share his passion for action, daring tricks, and all things bikes. Jack Eyers (@JackEyers) is one of the newest Ambassadors to join the Kitvision Ambassador team, has signed for a year and is excited to be on-board. Since electing for amputation of his right leg at the age of 16 due to a medical condition, his determination to succeed, to do anything and strive for everything, has motivated and inspired people around him. Today he uses this strength to help people as a Personal Trainer, a model, and watersports enthusiast, always eager to push people to be the best they can be. The search for Ambassadors continues; Kitvision aspires to grow their Ambassadors team, to find people young and old who are passionate about representing their sport or activity, to not only support and provide a platform for them to promote their talents, but to spread the love of adventure far and wide, to encourage anyone and everyone to get involved in sports, and to try the things they’ve always wanted to try. If you think you have what it takes to become a Kitvision Ambassador – do you have a passion for a sport, live and breathe adventure, and you’re ambitious to inspire? Get in touch: email hello@kitvision.co.uk, and be a part of the Kitvision mission. Kitvision products are available in most high street and online retailers. This Valentine’s Day, surprise the cyclist in your life with the thoughtful gift of a http://bikeparka.com (http://bikeparka.com ), a stylish and high-quality bicycle cover that keeps bikes protected from the elements all year round. Of equal appeal for him and her, the BikeParka is ideal for anyone you love, who also loves their bicycle! It is an affordable gift, costing under £40 from http://bikeparka.com . Perhaps the love of your life, or the apple of your eye, keeps his or her bike in a garden, patio or balcony? The BikeParka STASH cover is perfect for cyclists who lack indoor storage space as it protects the bike and makes for a tidy appearance. It is also ideal for stashing a bicycle away inside the house. For those who cycle round town and leave their bicycles in public places, the BikeParka URBAN cover is a wise choice. It features Velcro lock-through panels – the idea being that the bicycle lock passes through these and secures the BikeParka to the frame, preventing theft of your carefully-chosen Valentine’s Day gift. Perhaps your loved one is tall and rides a big bicycle? The perfect gift in this case is the BikeParka XL: a super-sized cover that fits mountain bikes, bicycles with wide handlebars and those fitted with child seats. ‘Stash’ costs £29.95, measures 220cm x 140cm and fits handlebars up to 65cm. ‘Urban’ costs £39.95, measures 220cm x 140cm and fits handlebars up to 65cm. ‘Small’ costs £24.95 measures 160cm x 120cm and fits handlebars up to 55cm. ‘XL’ costs £34.95, measures 225cm x 140cm and fits handlebars up to 100cm. Each BikeParka comes with its handy Stuff Sac to tidy it away. The cyclist simply grabs a corner of the BikeParka and literally starts stuffing it into the bag, so that it is ergonomically stored until its next outing. Other BikeParka options include BikeParka SMALL, which is specially designed to provide a snug and secure fit for small frames, such as BMX and children’s bikes. As well as being sold in good bicycle stores, BikeParka is available on three-day online shipping from Amazon or BikeParka.com and the last order date for Valentine’s Day is February 9. Gift vouchers are also available with one-day postal service.